Maiden Lane Press, 9781940210032, 90pp. 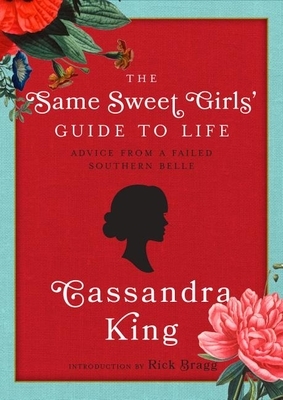 Written with a blend of humor and practical wisdom, "The Same Sweet Girl's Guide to Life" by Cassandra King offers inspiration and solid advice to new graduates that can sustain them through life's inevitable ups and downs. In this small book you will find advice that will only grow in meaning throughout the years. It can - and should - be read again and again, by thoughtful people of all ages. King's true gift is in her ability to present readers with the sort of hard-earned wisdom that will help both young and old find sustenance and renewed meaning in their lives. Her first pearl of wisdom: sincerity is an important virtue, and once you learn to fake it, you are well on your way to success Dare to laugh at yourself. Find kindred spirits and keep them close to you; expand your circle of friends. Know the true value of time. She also advises that we try to find words to express love and gratitude but to keep in mind that it is our actions that reveal our feelings more than our words. And as an addition to this lecture, which was delivered to a graduating class at her alma mater, Montevallo College, King adds a new afterword on the value of becoming a lifelong reader. CASSANDRA KING, who has been called "the Queen of Southern storytelling," is the author of five novels: "Making Waves," "The Sunday Wife, ""The Same Sweet Girls, ""Queen of Broken Hearts," and most recently the highly praised "Moonrise, " which was an Okra Pick and SIBA bestseller. A native of Alabama, Cassandra resides in Beaufort, South Carolina, with her husband, writer Pat Conroy.